NEW! Pre-order now for delivery in December - contact us for latest availability on specific colours/sizes. 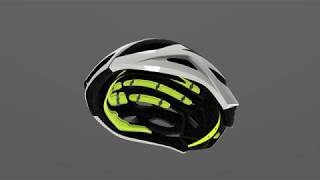 Specialized's lightest, best ventilated road helmet, updated with the latest tech. 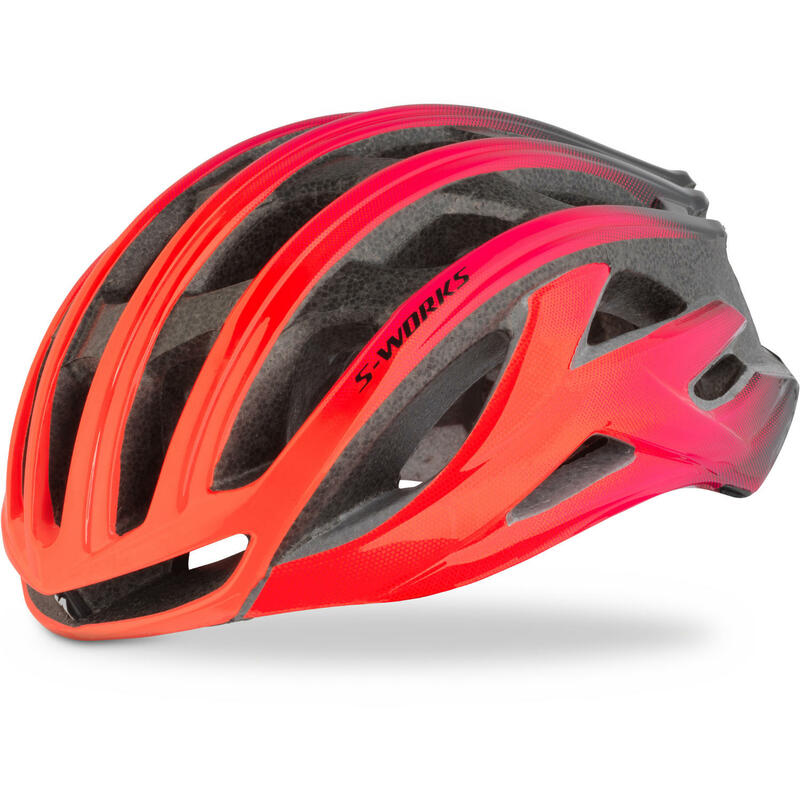 MIPS SL is the lightest and best ventilated version of MIPS yet, and is exclusive to the new Specialized S-Works helmets. Designed to add an extra level of crash protection by allowing a small amount of rotational movement, helping to prevent one of the major causes of head injuries. ANGi is Specialized's crash detection hardware. A compact, lightweight sensor unit is integrated into the rear of the helmet, and pairs with the Specialized Ride app on your iOS or Android phone. If it detects a sudden impact it can call your emergency contacts, even using your phone's GPS to provide a precise location. A whole new level of reassurance and safety for solo rides. When we set out to improve the original S-Works Prevail, we knew that we had our work cut out for us. How could we improve on the industry benchmark for fit, ventilation, and comfort? By listening to our riders-that's how. Through this, we realized that there were a few aspects of the original Prevail II that needed to be changed, with the biggest request being for a lower-sitting design. We thought to ourselves, "thinking big shouldn't result in bigger helmets," so with the S-Works Prevail II with ANGi, we set out to prove that big ideas can come in smaller packages. It all starts with our patented EPS construction that relies on multi-density foam that's paired with a robotically woven, Aramid-reinforced skeleton. This comes with a reduction in the overall size, creating a smaller profile that fits lower down on the head for a better fit and safety. Our new ANGi Crash Sensor, meanwhile, gives you and your loved ones peace of mind like never before. When combined with our iOS or Android app, the sensor will detect a crash and send a text message to specified contacts in your phone. It also syncs with our app and STRAVA® to provide GPS-based activity tracking. In the end, the S-Works Prevail II is the most complete lightweight race helmet we've ever made-perfect for hot, mountainous rides and flat, windy sections alike.